The number of older people living with cancer is growing and soon three-quarters of those living after the initial acute stage of their treatment will be aged 65 years or older. Quality of life studies tend to focus on one cancer at a time and on specific cancer drugs or treatments. However, as people live longer after cancer diagnosis, it is important to understand the contribution of other factors affecting quality of life. To investigate this issue the researchers surveyed 1,457 adults aged 65 years or older. Most of the respondents were not actively receiving cancer treatment at the time of the survey and were one year or more past their diagnosis. The survey explored factors in physical, psychological, social and spiritual domains that could affect quality of life. The most important contributors to poor physical and mental quality of life included severe symptoms of pain, fatigue and disturbed sleep as well as respondents’ other medical conditions. Being physically active appeared to be an important contributor to better quality of life. Other likely contributors to poor mental health were lack of emotional support and financial hardship. 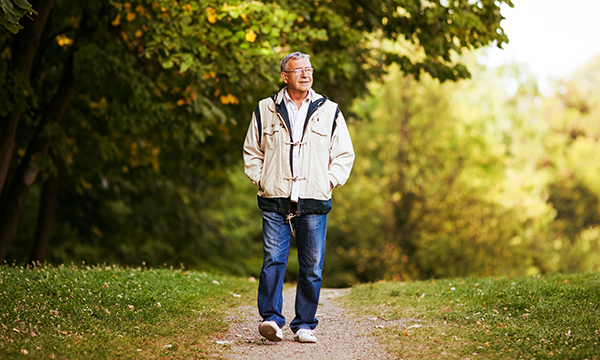 The study highlights the importance of addressing persistent symptoms, managing co-morbidities, promoting leisure-time physical activity and addressing financial challenges. The approach should be one of comprehensive health promotion that includes appropriate management of symptoms of cancer and other co-morbid conditions and the promotion of healthy lifestyles. Care should also recognise the importance of social and financial support that the older survivor may need. Pisu M, Azuero A, Halilova K et al (2017) Most impactful factors on the health-related quality of life of a geriatric population with cancer. Cancer. doi:10.1002/cncr.31048.